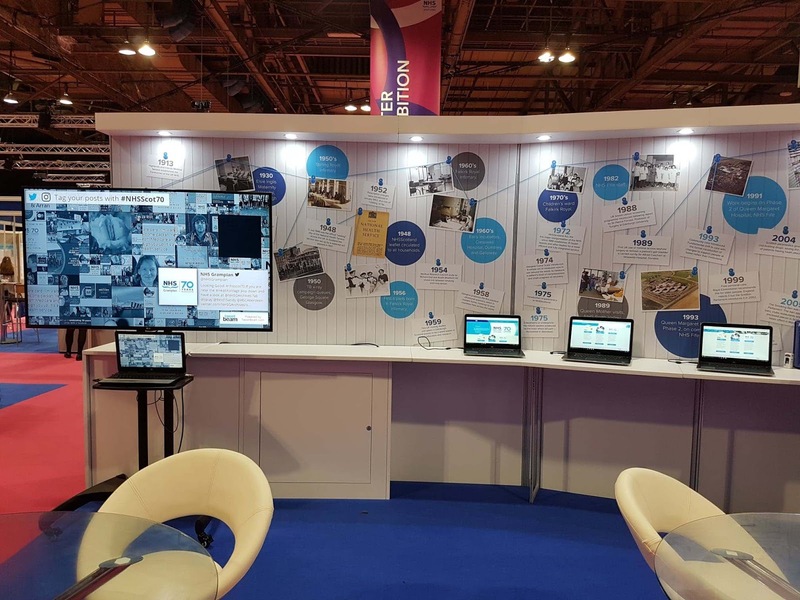 Our 70th anniversary celebrations continued this week as we attended the 2018 NHS Scotland event in the SEC Glasgow. 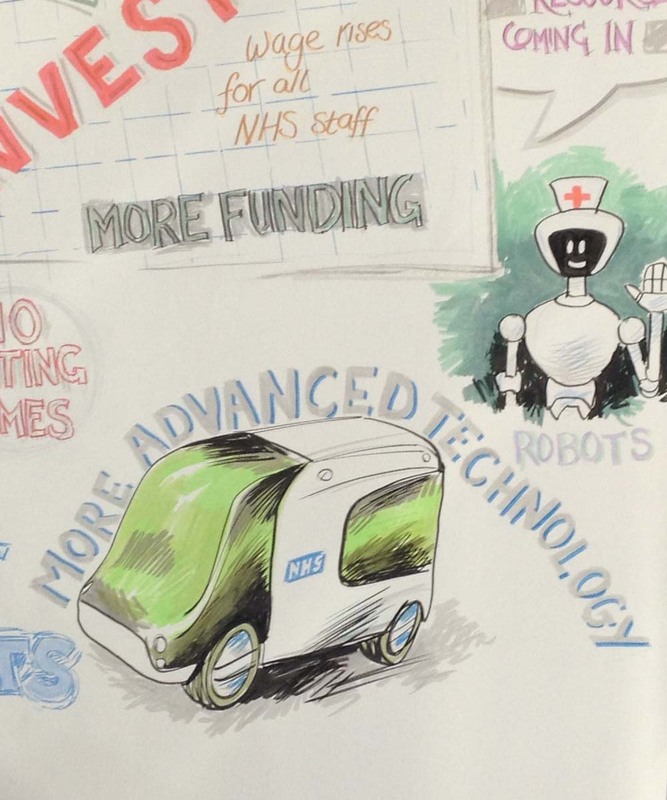 The event is in its thirteenth year and is the ‘premier meeting place’ for those who are committed to delivering high quality health and social care services. 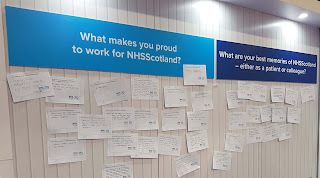 It brings together those working for and with the NHS in Scotland and provides them with the opportunity to consider the challenges, to share best practice, to view the latest innovative approaches and to develop tools and techniques designed to support them in their various roles. 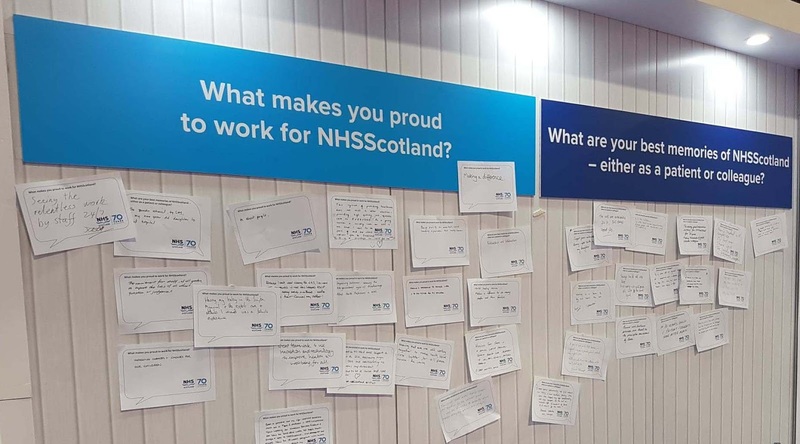 The 70th anniversary provided the event with an excuse to reflect on what the NHS has meant for people in Scotland, to recognise and thank staff for their contributions, and to celebrate the massive achievements that have been made over the past seven decades. The event theme was ‘Delivering Now, Improving for the Future’, and this flavoured many of the discussions throughout each day as people speculated on what another 70 years of the NHS could achieve. LHSA were situated on the NHS 70th stand where alongside freelance historian Chris Holme and NHS Greater Glasgow and Clyde Archivist Dr Alistair Tough we spoke to attendees who were passionate about the history of the NHS in Scotland. 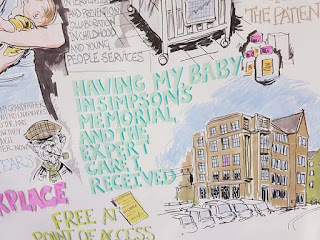 As well as sharing stories relating to our collections we listened to many people who were eager to share their personal memories and experiences too. 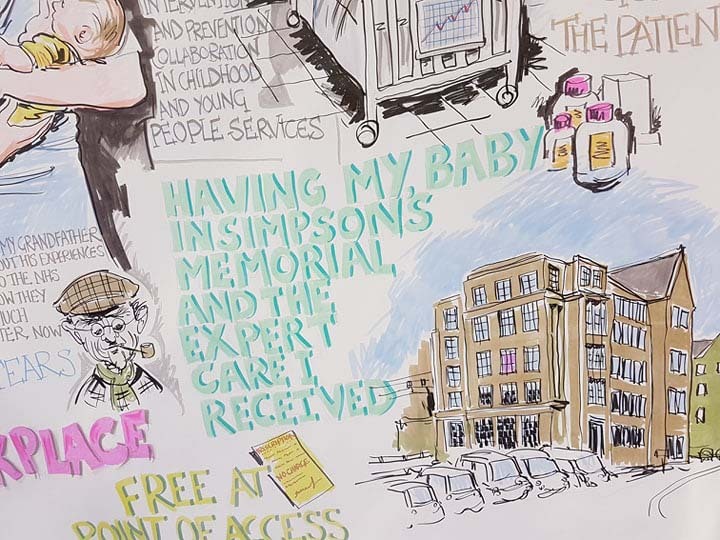 The event was an excellent opportunity to engage NHS staff with the history of the health service throughout Scotland, and we found people were very excited to both learn and share stories from the past. If you want to learn more about the past 70 years of the NHS in the Lothian area then come and visit our exhibition currently on display on the 6th floor of the Main Library, University of Edinburgh, George Square. 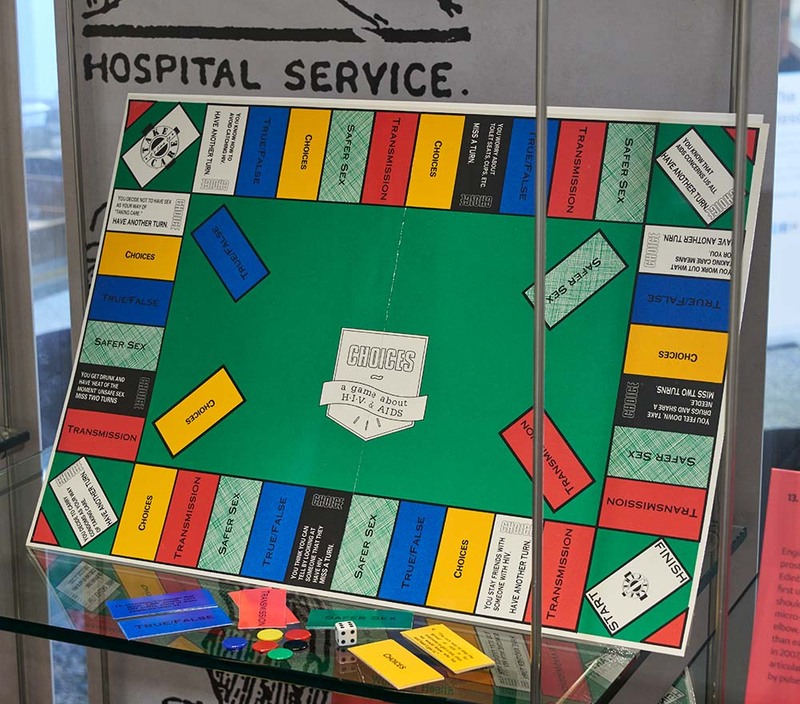 5th July is fast approaching, and as the National Health Service prepares to turn 70, here at Lothian Health Services Archive we have been hard at work promoting the big day. Our exhibition, Dawn of a New Era, has been on display in the Main Library of the University of Edinburgh since April 13 and will continue until August 15 with the addition of two further display cases arriving in late June. 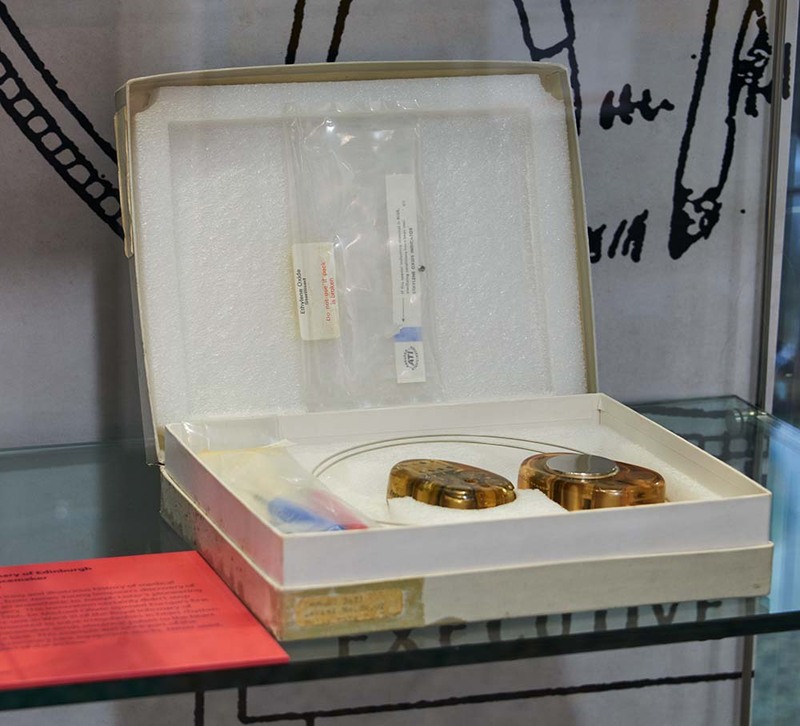 The exhibition uses LHSA collections to chart the journey of the NHS from pre-1948 experiments with state healthcare through 70 years of innovation, challenges and breakthroughs. The exhibition showcases a diverse range of objects, and it is definitely the first exhibition I have seen featuring both a pacemaker and a board game. As well as our preparations, I have been answering enquiries from others who are collecting images to use in their own promotion of the anniversary. Image requests have been helpful in allowing me to gain an ever broadening understanding of the collections held by LHSA and I have already compiled a long list of favourites. While searching for images that depicted nurses at work I came across this wonderful scene from 1960s which shows nurses at Christmas with geriatric patients on a ward in Bangour Village Hospital. 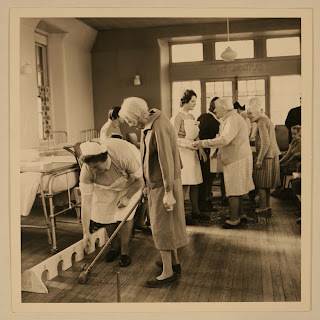 Another image I enjoyed was a photograph showing a classroom of nurses being taught in their new teaching department at the Royal Infirmary of Edinburgh which opened in 1957. 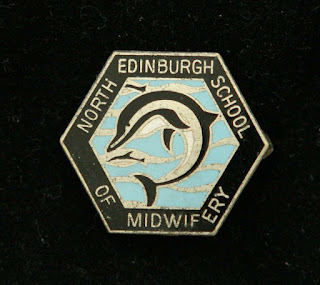 I also conducted a search through our extensive collection of midwifery and nursing badges from across Scotland. 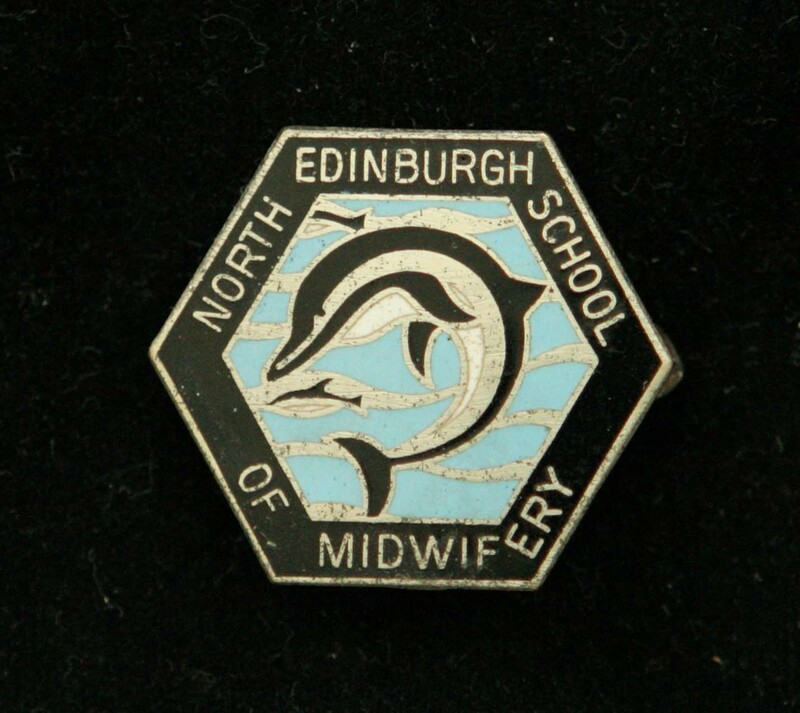 My favourite is from the North Edinburgh School of Midwifery which has a dolphin arching across the centre. As well as midwifery and nursing, badges held by LHSA cover Edinburgh’s hospitals from the early twentieth century through to HIV awareness campaigns of the late 1980s and ‘90s.